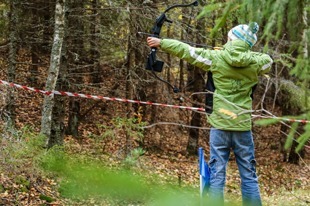 Our Woodland Archery sessions are held at our target range at Greenlands Farm Village, near Carnforth, LA6 1JH. Each session lasts for 90 minutes (approx) this includes a short 10-minute walk from the shop out to our outdoor woodland archery range. Once you start shooting you’ll see your confidence increase with every shot, with everyone smiling as they get better and better. You will get to shoot field archery targets these include standard paper faces, 2D animal faces and 3D animals.